There are countless ways that consumers can start saving for their retirement years. For working people, this most often means taking advantage of the group retirement savings plans that are offered by an employer. In many cases, employers match at least a portion of pre-tax dollars put aside for this purpose. There are a number of financial products that help employees manage their money and plan for retirement. The most common financial benefits include Individual Retirement Arrangements (IRA), Retirement Savings Plans and Tax-Sheltered Annuity Plans, Simplified Employee Pensions (SEP), Profit-Sharing, Defined Benefits, Employee Stock Ownership Plans (ESOP), and other qualified deferred compensation plans. Currently, there are a couple of IRAs for eligible employees, the Traditional IRA and the Roth IRA. Both plans allow employees to designate a specific pre-tax dollar amount of earnings to a tax-deferred account. The Traditional account is for employees up to age 70 1/2 and the Roth is for those who are any age. The IRS sets certain limits for how much an employee may contribute to an IRA, based on a number of criteria. Employers may also match a portion or all of the employee's funding to an IRA, up to these IRS approved limits. Working adults can put away pre-tax earnings for retirement planning. 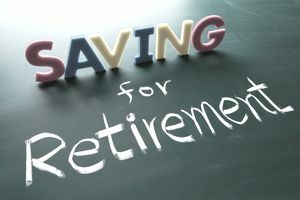 A Retirement Savings Plan, such as 401(k), gives employees the opportunity to contribute a portion of wages to individual accounts, and employers may also contribute to these plans to increase the investment. Distributions of 401(k) funds, including earnings, are included in taxable income at retirement. This is one of the most popular types of retirement planning option because it's conservative and easy to manage. Another way to put away for retirement is the Tax Sheltered Annuity or a 403 (b), which is designed specifically for public service workers, such as teachers at public schools and employees of certain 501(c)(3) tax-exempt organizations. Employees and employers may contribute to this plan. Unlike other types of retirement plans, the Simplified Employee Pension (SEP) is funded by employer contributions only. A SEP can be used by any size employer, and the funds must be equal amounts for all employees, delivered at least once per plan year. Employees are 100% invested from day one. Many companies still offer profit-sharing programs that supplement regular retirement savings plans. Each year, if the company makes a profit, these funds may be distributed either in each eligible employees' year-end paychecks, or allocated to their SEP, IRA, or 401(k) account. A fixed, pre-established financial benefit given by employers to eligible employees at their retirement. The employer puts a specific percentage of the employee's earnings into a savings account, to be used specifically for retirement funding. This amount must be reported each year by the employer and is considered taxable income. Not to be confused with defined contribution plans, which is a set amount of money provided by an employer to be used for health insurance and medical costs. Instead of cash benefits, employers may also offer retirement funding in the form of Employee Stock Ownership Plans (ESOP), which allows employees to buy company stock at current market rates during specific time periods. In some cases, the company may simply grant stock ownership of a certain amount of stock or sell stock at a lower than the public rate during each earnings quarter as part of a compensation negotiation. As you start planning for your retirement years, it is clear that there are many options to put away funds that can support your lifestyle ten and even twenty years after you stop working. Check with your employer for more information about retirement savings benefits that may be available to you.